I am getting sick and tired of people saying that Zaraki Kenpachi does not have shikai for his zanpakutō. Kenpachi does have shikai. Don't believe it? Wikipedia says it on two occasions. Wikipedia cites page 258 of the Bleach Official Character Book SOULs for this fact. The page can be downloaded at Ju-Ni. 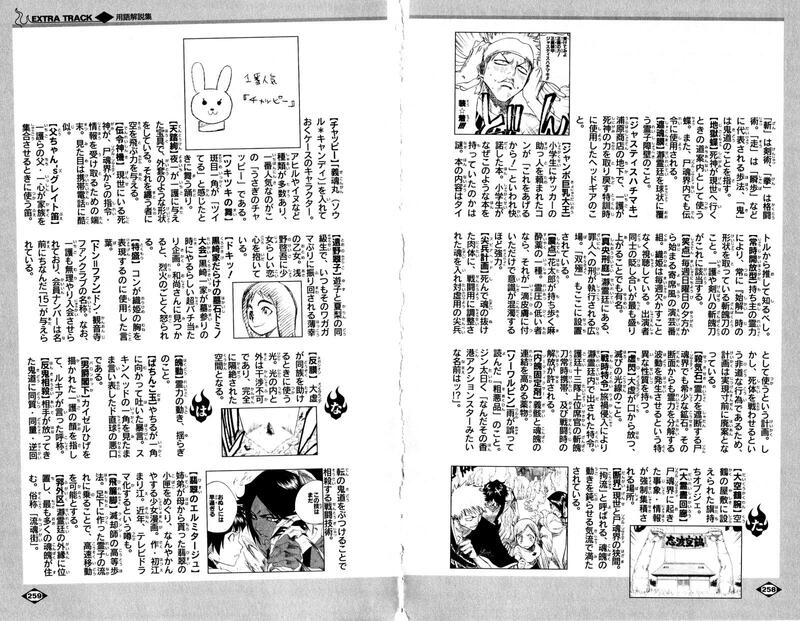 (Ju-Ni is a very good Bleach scanlation group, although they do have other projects too. Membership is free, so don't complain.) For those who don't like to register on sites they aren't familiar with, I also have the page itself uploaded at two different locations. [Constant-release type] Zanpakuto that constantly take their "shikai" form due to their wielder's great spiritual power. Ichigo and Kenpachi's zanpakuto belong to this type. So there you have it. It is officially stated by Tite Kubo himself: Zaraki Kenpachi does have shikai. Submitted by fallenangel (not verified) on Mon, 12/22/2008 - 23:10. Submitted by kourge on Tue, 12/23/2008 - 07:08. Submitted by Anonymous (not verified) on Wed, 08/12/2009 - 14:08. Submitted by Nameless (not verified) on Tue, 08/25/2009 - 14:40. Ichigo also had the released form and he did not know his swords name at that stage of the anime. Check it I am right. Submitted by Anonymous (not verified) on Wed, 01/21/2009 - 22:38. I'm pretty sure he didn't contradict himself. He was saying that Kenpachi cannot have a shikai unless he knows his zanpakuto's name. Sadly, although his statement would normally be correct, it's still wrong. In the anime, they state that his zanpakuto is constantly released. On top of that, you've got a source from Tite Kubo saying that he's got a constantly released shikai because of his immense spiritual pressure, and no one can argue with that. So, basically...HE HAS A SHIKAI!!!!! Submitted by Anonymous (not verified) on Sat, 03/07/2009 - 17:25. Submitted by Ninja Boi (not verified) on Sun, 03/22/2009 - 17:59.
kenpachi does have shikai why do you think his zampaktou looks like that? Submitted by Fernando1979 (not verified) on Sat, 08/01/2009 - 19:28. Submitted by Anonymous (not verified) on Sun, 09/13/2009 - 07:13.
hmmmnn.... you all state very good reasons but allow me to explain. as you all know a soul reaper needs to know the name of their zanpakuto to obtain shikai,and later bankai. now since that is cleared up, do you recall the events of when uryu first meet ichigo, and challenged him? the same can be said about kenpachi, while he doesnt know his zanpakuto's name the form it takes now might be a false shikai. one forged by his own will. the dull ragged blade represents the hardship he expeirenced his entire life, along with the fact he always sees himself as weak and needs more power.